Gordon Henschel's original small paintings. I am a freelance visual artist who has been painting professionally for 32 years. 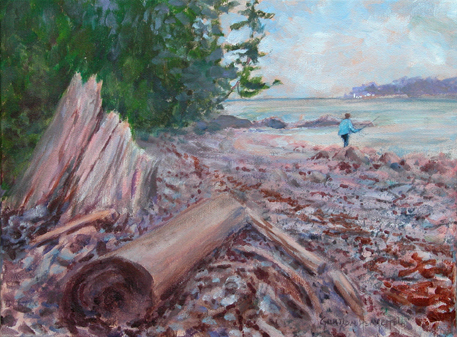 My work is mostly landscapes/seascapes often done on the spot, since I live in the most beautiful area of the world, Northern Vancouver Island, B.C., Canada. I paint every day and will have some images of my originals for sale on this blog. This entry was posted in Fishing, The Ocean. Bookmark the permalink.